After making it to the 7DAYS EuroCup playoffs last season, FC Bayern Munich is back to build on its experience and challenge for titles. Bayern decided to keep the core of players who worked so well together last season and to incorporate a few additional valuable pieces. The club signed pass-first playmaker Stefan Jovic, scoring machine Jared Cunningham and do-it-all swingman Braydon Hobbs in an effort to be more competitive than ever. Bayern also added talent and experience to its frontline with former EuroCup Rising Star Milan Macvan, who will compete in the competition with a sixth different team. With most of Bayern’s main players – including swingmen Nihad Djedovic and Reggie Redding, athletic big man Devin Booker, power forward Danilo Barthel and rock-solid center Maik Zirbes – back in Munich, this team may be better than ever. Bayern has a steady point guard duo to lead the charge. Stefan Jovic has a great basketball IQ and is a pass-first playmaker; in fact, he owns the single-game assists record in the Turkish Airlines EuroLeague, 19, which he set with Crvena Zvezda mts Belgrade. Jovic has great court sense and is an above-average defender, who will get steals through the passing lanes. Anton Gavel is a good complement for him; he’s a good shooter who rises to the occasion in crunch time and provides a lot of energy. Braydon Hobbs and Reggie Redding are very good team players who can run the offense when needed due to their passing skills. Redding is truly an all-around player who can score in many ways and be equally effective on defense. Hobbs is an efficient shooter who averaged 4.7 assists in the EuroCup action last season for ratiopharm Ulm. Nihad Djedovic is a relentless scorer who will give the team instant offense. He will play a big role in this team, just like Jared Cunningham, who arrives to fill the baskets with his soft touch and one-on-one skills. Former EuroCup champion Vladimir Lucic is an intense force who can score from almost any angle. The most athletic player in Bayern's frontline, however, is Devin Booker, who comes off a very strong season in which he ranked among the EuroCup’s top 20 in scoring, rebounding and performance index ranking. It is safe to expect more of the same as Booker will keep powering the boards, hitting mid-range jumpers and igniting the crowds with his alley-oop slams. Maik Zirbes is an old-school center with good post moves, who is very aggressive under the baskets. For a different look, Danilo Barthel is a stretch power forward with good post skills. Milan Macvan arrives at the prime of his career to make the difference with his outside shooting, low-post presence and silent leadership. Alex King is a three-point specialist who can see playing time at either forward spot. It will be his first experience outside his country, but Stefan Jovic is more than ready for it. 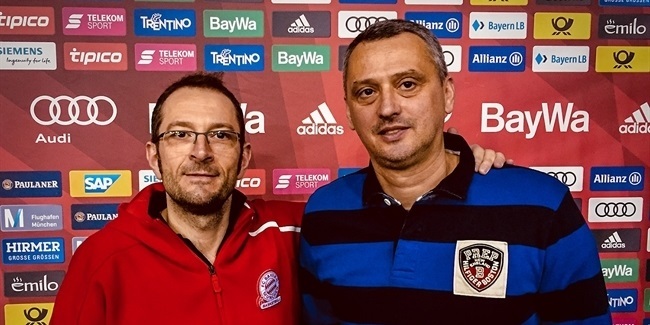 Considered to be one of the best point guards in Europe, Jovic has his perfect mentor in Bayern head coach Aleksandar Djordjevic, who made history at the position. Having his Serbian national teammates Lucic and Macvan on the team will probably help Jovic adjust better to a new situation, too. Jovic is not a great scorer and does not have a killer instinct, but he puts the ball in the right spot and rarely makes mistakes. Bayern has a lot of proven scorers, both inside and outside the paint, and needed a player like him to make it work. 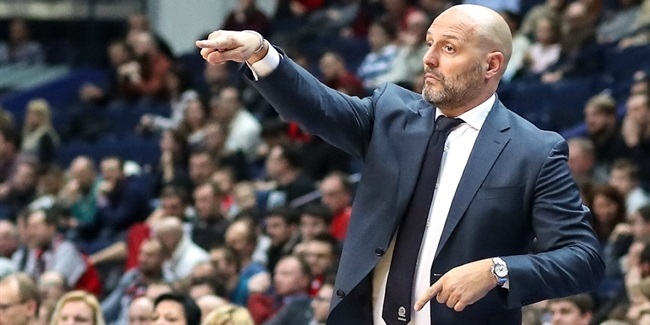 Jovic will use his great basketball IQ and is set to be better than ever with a head coach that trusts him and was there before, making decisions at the highest level. 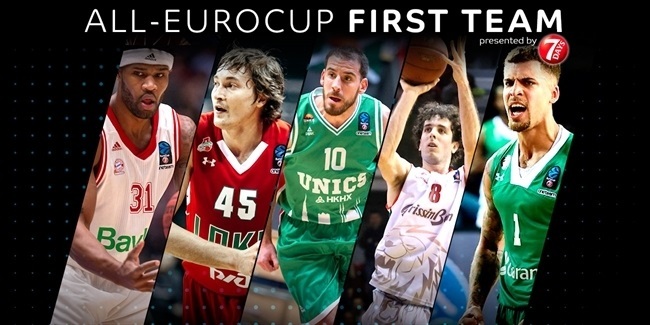 Last season, Bayern was one of just two teams that finished the Top 16 unbeaten and even took a 1-0 lead in its best-of-three quarterfinals series, but eventual champion Unicaja Malaga beat them twice after that to move on and go all the way. Bayern has learned from its experience - those players who return to the team will have it in the back of their minds all season, and the newcomers add talent, versatility and power to what was already a very good roster. Coach Djordjevic has to make the most of his many weapons to learn from last season's experience. Bayern's main goal is getting to the same situation as last season – in the playoffs with the home-court advantage, but able to capitalize this time around. Expect Bayern to be one of the serious contenders in the 2017-18 7DAYS EuroCup.